Ella Utility Vest Just $19.99! Down From $45! Shipped! 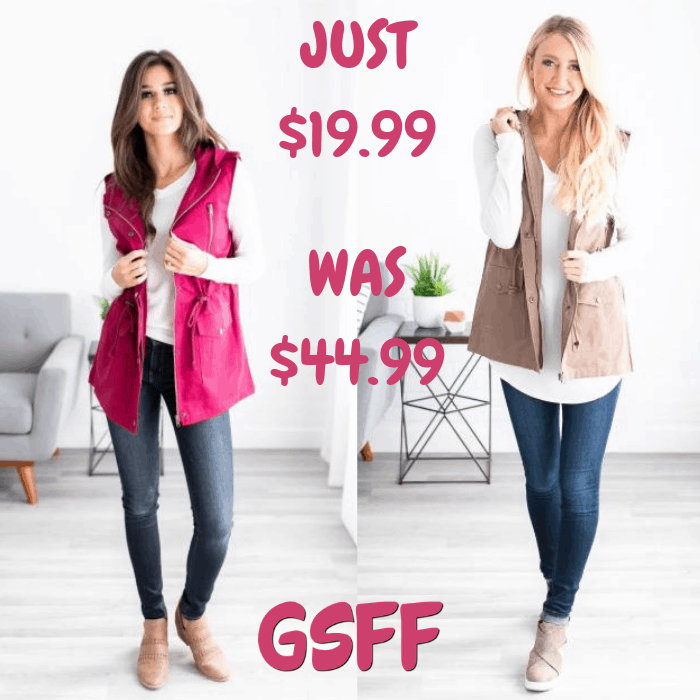 You are here: Home / Great Deals / Ella Utility Vest Just $19.99! Down From $45! Shipped! Through January 12! Head over to Jane to get this Ella Utility Vest for only $19.99 down from $45 PLUS FREE shipping! It is impossible to have the perfect wardrobe without a perfect vest! This new Ella Utility Vest is a must-have this season! With fully functional front pockets, a stylish hood, and flattering button-up fit, you can’t go wrong! Wear it with your favorite pair of skinnies and booties or converse for a great look!